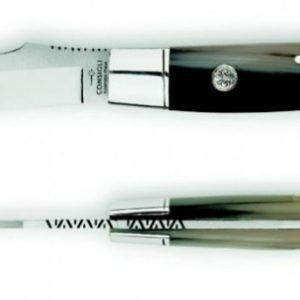 Arbus is, together with Guspini and Gonnosfanadiga, one of the major mining areas of the South-West of Sardinia, also well-known for their production of knives. 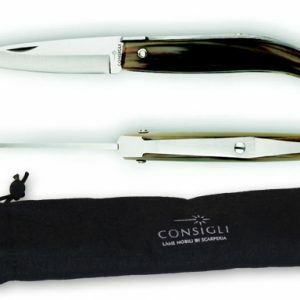 These include various models with a rounded blade, whose characteristics can be seen in the Consigli model.The cheeks in shiny ram’s (sheep) horn remain a distinctive sign of their Scarperia provenance. 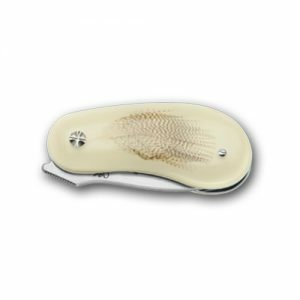 The blade is unsprung, which was the tradition, the action is firm yet simple and smooth to both open and easy to close. 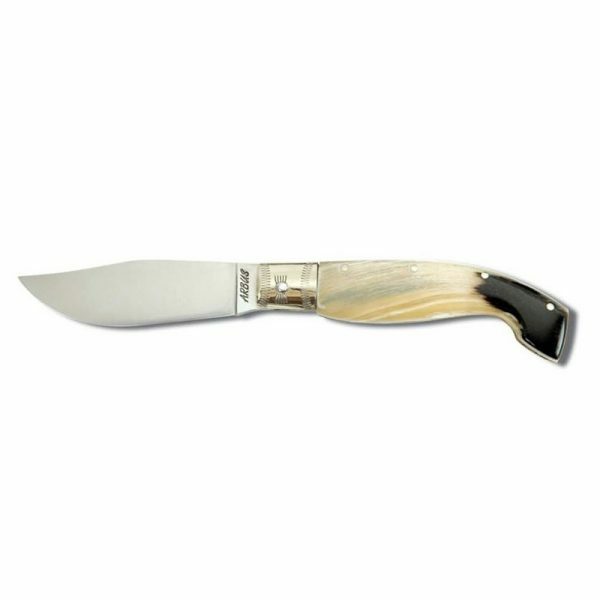 At first the action seems unusual, expecting the knife to snap open or snap closed, however the beauty is in its simplicity and its ease of use making it a very user friendly knife to open and close. 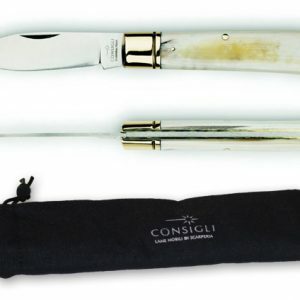 Italian production, often linked to diverse customs, such as fishing, hunting or farming, but with one thing in common – an intensive use of what was once an indispensable tool. 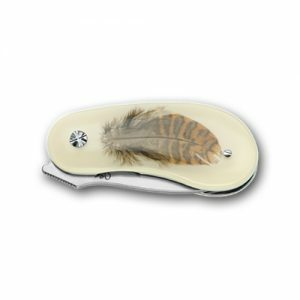 The knife has a wide blade and is probably derived from older models. In the picture: handle in Ram’s (sheep) horn. Handles vary in colour from light to caramel through dark. 9.5 cm blade made of INOX stainless steel.